JM: I just love minimalist music, always have done. I like Steve Reich, Philip Glass, Terry Riley. 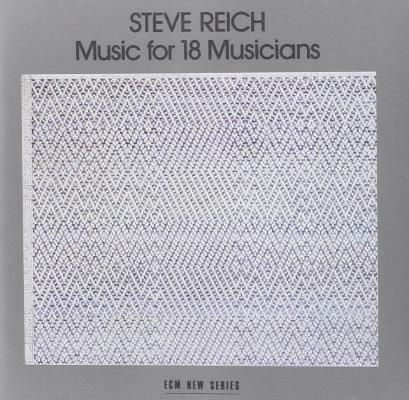 I think that the first record I bought by Steve Reich was Come Out, which was a spoken word sample - he was an early sampler.. Music for 18 Musicians is a beautifully crafted piece of ambient classical music, the way that it just very slowly unfolds is just stunning. I think one of my most favourite things was to be able to play the whole of that record on pirate radio. We did a remix for Music for 18 Musicians, quite a fascinating thing to do. He's sadly now passed away, but the guy we worked with made a MIDI file for me from the original score so that we could then play that piece on any instrument that we wanted to. I'm not sure what Matt's reasons are for choosing this record as well. 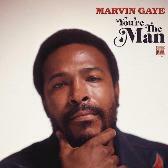 I'm sure that we connect on quite a few levels but I just love it because it's so hypnotic – it takes you somewhere else and it's an emotional record as well. It's funny that something that is so minimalist really can do that. I like the fact that when he brought that record out, people didn't like it, which goes for quite a lot of the records I've chosen. Matt Black: Jon turned me on to that record. We had to do this show on a pirate station called Network 21, based in South London and I was used to playing dance music but I realised that something a bit more arty was required. I didn't know what to play really, and so Jon suggested that I started with the Reich record. I put it on and was amazed, it was something I'd never heard before. I don't know if Jon and I disagree about it though, but I'm not sure if Jon has taken it up with quite so much a passion as I have. That is, in terms of every time there's a performance of Music for 18 Musicians in London, I go to it - it's become a bit of an addiction really.